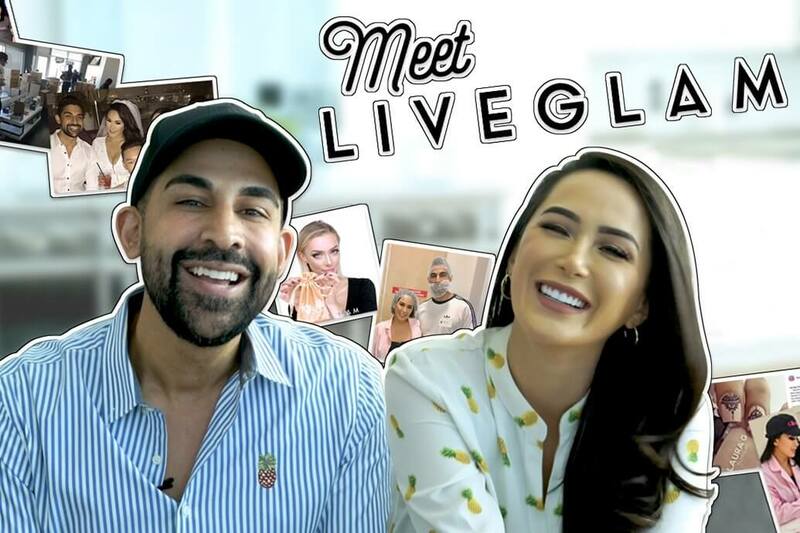 Hey Glam Fam! LiveGlam brush club MorpheMe October brushes are finally here! In October we wear pink to bring awareness to Breast Cancer research- so join us with these limited edition EXCLUSIVE PINK Morphe Brushes! 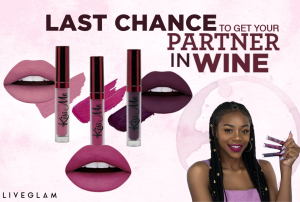 You’ll be getting 2 face brushes and 3 eye brushes this month: PK14 Tapered Powder and PK4 Contour Blush for getting your face on fleek, and PK36 Tapered Blending, PK524 Oval Shadow, and PK45 Angle Brow to complete your look! 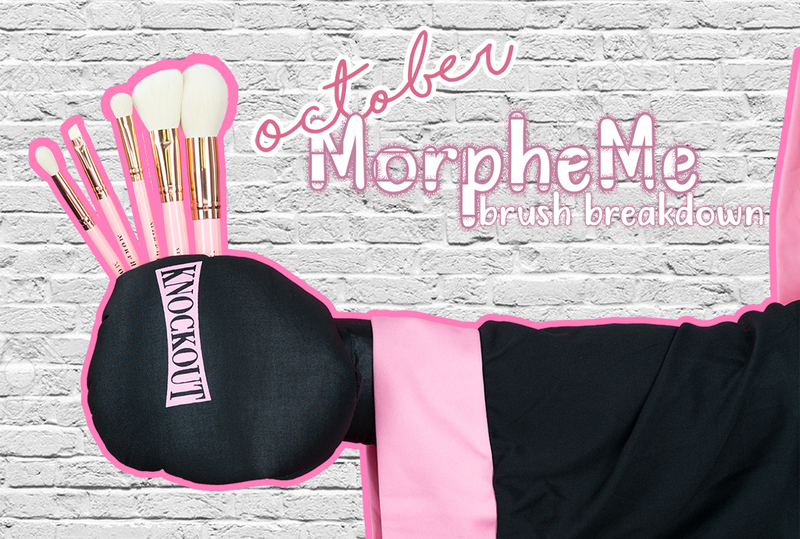 Show us how you fight like a girl, and check out our Pinktober MorpheMe How To video while you’re at it! We’re gonna break it down for you here, too! Keep reading to learn more about October MorpheMe! 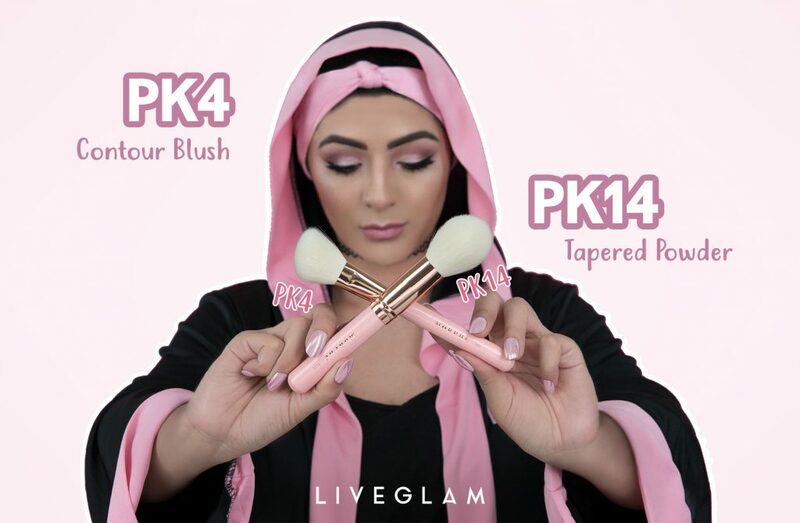 Your PK14 Tapered Powder brush is a versatile face brush to handle whatever you need! You can use this super soft, natural hair brush to apply powder foundation, setting powder, blush, contour and a cherry on top! This brush has long bristles and a rounded, tapered tip that allows you to pack on a dense amount of powder or blend out a nice, light coverage. This PK4 Contour Blush brush is a dense, tapered brush that will chisel out a defined contour for you! This natural hair brush is very dense on one end while flaring out to some fluffiness. You can apply a lot of pigment with this brush, and also blend out a smooth edge. This shape makes it great for getting a very chiseled, but also seamless, contour. 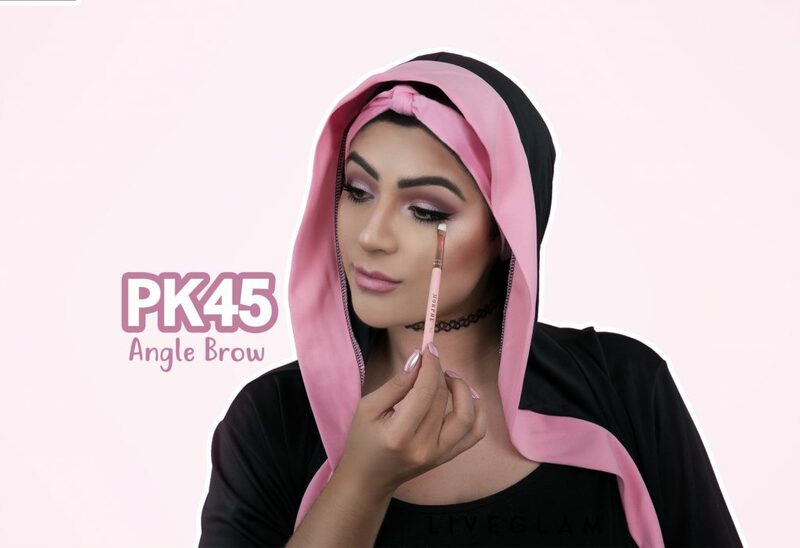 This natural hair PK45 Angle Brow brush is great for creating sharp lines with powder or cream products. 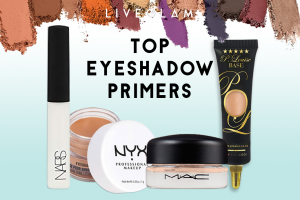 You can use it to fill your brows with pomade or brow powder, to line your eyes with a fierce wing, or to carve out a cut crease! An angle brush is also good for lining your lips with lipstick to get a sharp cupid’s bow or cleaning the outside of your lip line with concealer for crazy precision. Your PK36 Tapered Blending brush is perfect for defining a crease! This natural hair brush has long, tapered bristles but is relatively small in size for a fluffy blending brush. You can apply pigment in exact preciseness while still getting very smooth transitions. Because of its size, this brush works beautifully on smaller eyes and can be used to create a smokey under eye! As with any good blending brush, you can also use it to apply highlighter to your face! 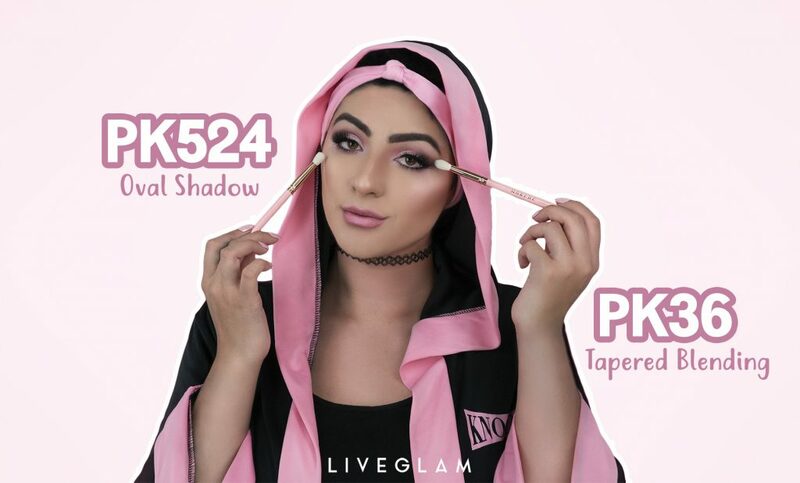 Your PK524 Oval Shadow brush is a perfect companion to your blending brush! This natural brush has flat, oval-shaped bristles with a soft, tapered tip. 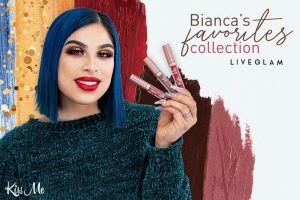 You can use this brush to pack on a dense amount of color to your lid, to define your outer crease with some depth, or to create a smudgy lower lash line! This brush is also good to apply glitter, contour your nose, or pack on some highlighter! 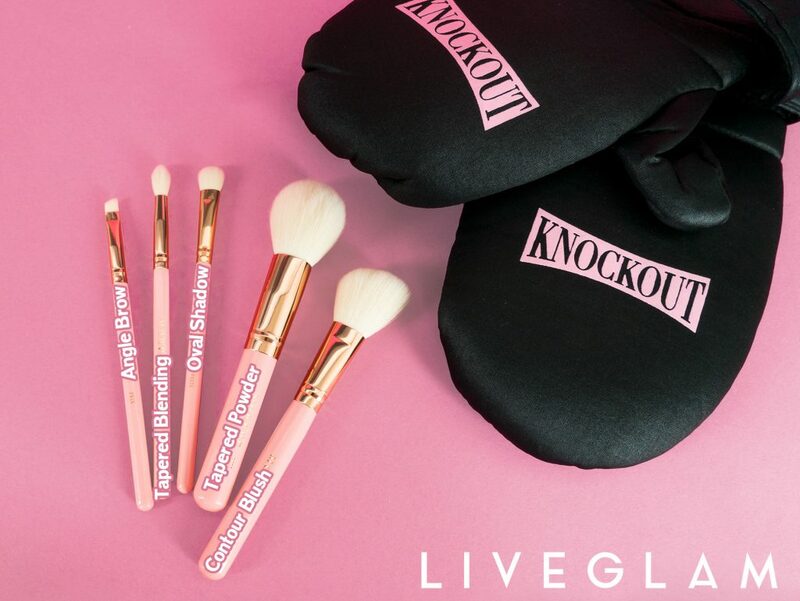 Help us knockout Breast Cancer this month while you slay your Pink MorpheMe brushes. If you’d like to get involved in the cause or place a donation, you can visit http://www.nationalbreastcancer.org/ for more information! Be sure to check out our Rewards and Trade program!! 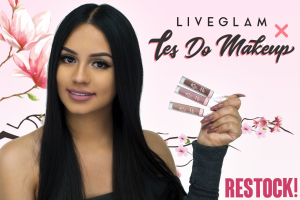 You can swap out your monthly brushes for an awesome set you missed or other sweet stuff in our Rewards! Check it out on your Dashboard! 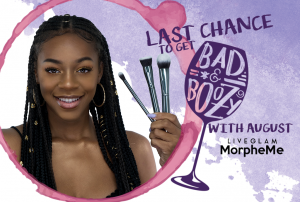 If you’re just now tuning in and haven’t joined the #MorpheMe brush club yet— you can check it out now! 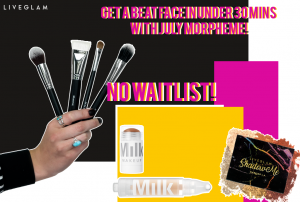 It’s the world’s first monthly makeup brush subscription, and you get $30+ of brushes every month for $19.99. Fight like a girl using this month’s brushes! 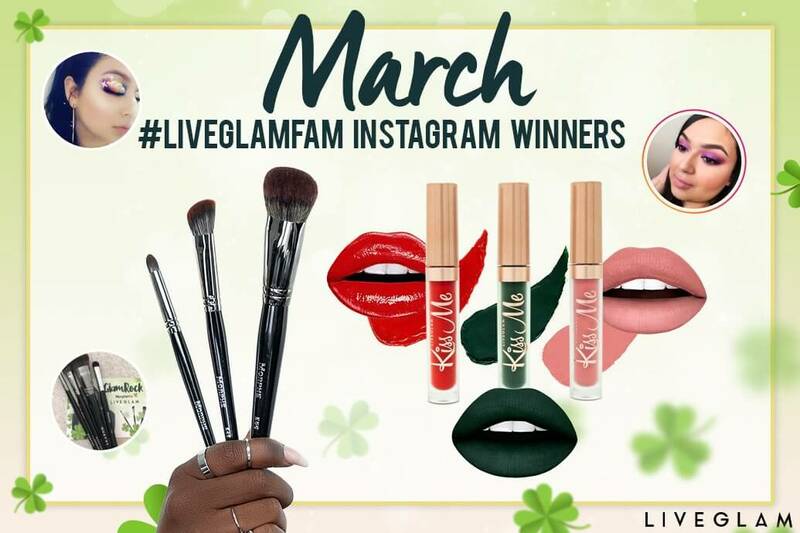 Be sure to use #MorpheMe on Instagram to show us your new looks and a chance to win! Jordan Rodriguez: Omg yes! 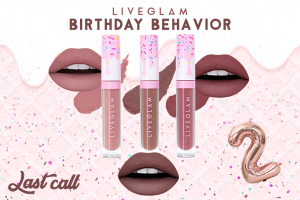 Perfect for my birthday month! Lydia: I so cant wait to receive them. Bree: Do you guys know about how long it takes to get off the waitlist? Shalyn: are you still on waitlist, im wondering when im going to get off the waitlist also? candyce: i never had to go on the waitlist..? Rachel: Oh wow, these are to beautiful to use!! Can't wait to get these beauties!! Desiree: I would like to know how to get off the waitlist? I ordered on the 1st of October and still no email. I really hope to get these brushes if not I'm going to be so disappointed. Mary: I'm cancelling mine, so hopefully one of you will come off the waiting list. kristin: it took me four weeks to get off the waitlist back in April. Sherry Clopp: I just joined a month ago and received my October brushes. I love them!! I have never used any makeup brushes that worked so well. I'm very happy that I joined. Special thanks to Sara Reilly for telling me about Morphe. 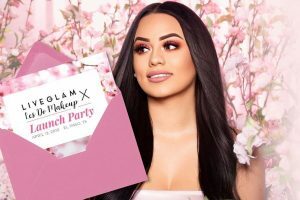 Jhoanna: I signed up today!! Hopefully I can get off the waiting list and get the November set!!!!!! Alyssa: Is there a way to change the brushes you get? Like I don't like novembers and want octobers. Can I switch them? Lanie Edwards: Hi Alyssa! Yes, you can trade brushes for a previous month or other goodies through your Dashboard! Just make sure to trade before your monthly package goes out. Stay glam!